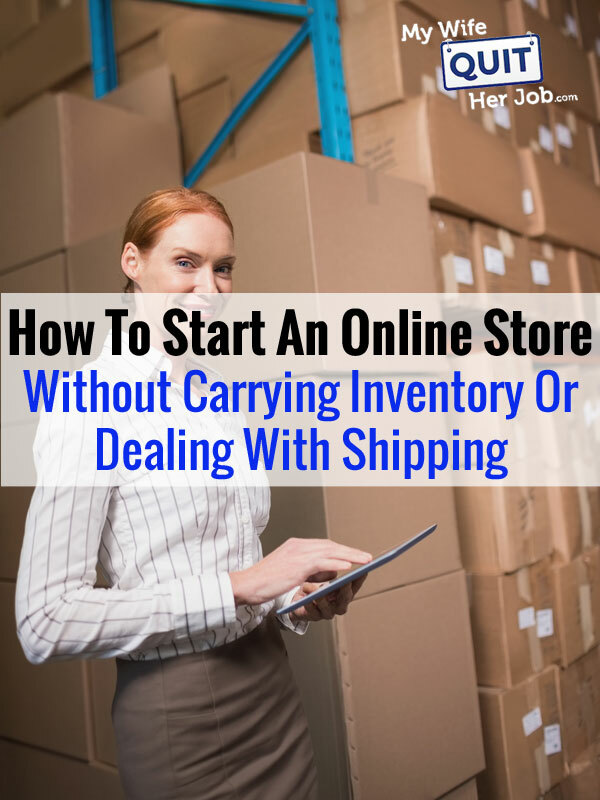 Most people who want to start an online business are hesitant to sell physical products online because they have a false impression that you have to store and ship all of your own products. But did you know that you can run a successful ecommerce business without carrying any inventory at all? In fact, it’s pretty straightforward to run a full blown online store without worrying about storing or shipping anything physical at all. Here are 3 ways to do exactly that. A dropshipped online store is a type of ecommerce business where you you take orders on your own website, but your vendor or distributor is responsible for shipping the product to the end customer. As a result, you don’t have to carry any inventory at all. You simply act as a middle man between the distributor and the buyer. You receive the money from the customer and immediately place an order with your distributor at an agreed upon wholesale price. Sounds simple right? But as with everything in life, there are pros and cons to this business model. The overall risk is negligible. Your advertising options are limited because the margins are low. There will be many other stores selling the exact same products which will cause pricing pressure. The ramp up to significant money will be much longer than a traditional store because margins are low. You will likely have to rely on SEO and other free methods of promotion. Overall, dropshipping can be very attractive if you don’t have a lot of money and if you plan on having a long time horizon for your business. In other words, it could take several years for your store to ramp up to significant profitability. To find vendors who are willing to dropship in the United States, you can use a service like Worldwide Brands but be prepared to put out a lot of content to rank your store in the search engines. For those of you who are unfamiliar with the terminology, a 3PL is a 3rd party logistics company. Most 3PL services can handle the storage of your products in addition to order fulfillment. And in some cases, they can even help with customer support and product returns. The 3PL ships the order to the end customer. You pay the 3PL a monthly fee in addition to a per order cost for fulfillment. The online store/3PL combo looks and behaves very much like a traditional online store with inventory except that you don’t have to store or fulfill the orders yourself. You don’t have to store any inventory or ship out orders yourself. You have full control over your customer flow. Overall, if you want to start a more traditional online store but don’t want to worry about inventory or fulfillment, then using a 3PL might be a good option for you. Here’s a list of 3PLs to consider if you decide to go this route along with what to look for in a good logistics partner. ShipWire.com – Probably the easiest way to get started. However, they will not take any special packaging requirements. Basically a no frills fulfillment service. EFulfillmentService.com – A no frills fulfillment house that caters to small businesses. They don’t need for you to have a corp or LLC in the United States. Generally easy to work with. WarehousingAndFulfillment.com – A fulfillment service very similar to EFulfillmentService.com catering to small-med businesses. InFifthGear.com > 300 packages/month – These guys can take on high touch products. For example, they can do personalization, engraving etc… But they generally are only interested in shops that can generate at least 300 orders/month. Direct-Outbound.com – A fulfillment service catering to small-large businesses. At Last – These guys tend to cater to larger shops but you might still want to talk with them. 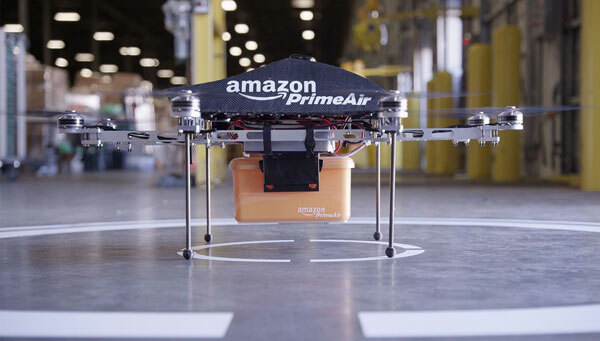 Quick Tip: Amazon is also a 3PL. If you are already selling on Amazon using FBA, you can also have Amazon fulfill the orders from your own website. The only downside is that your goods will be shipped in an Amazon branded box unless you pay an extra fee. Right now, Amazon FBA is the most popular choice among online sellers. Amazon FBA stands for “Fulfillment By Amazon” and here’s how it works. Going the Amazon FBA route is extremely attractive because not only does Amazon take care of EVERYTHING, but you also have access to Amazon’s vast audience of buyers. However the main downside is that you have to obey Amazon’s rules and they also take a pretty sizable chunk of your profits. In addition, it’s much harder to establish your brand on Amazon because people think that they are buying from Amazon and not you. Your margins must be high to make money because Amazon takes such a large chunk of your sales. (Margins should be > 66% which means you will likely need to import from overseas). You only get paid every month. Amazon can hold your money for any reason. The Amazon marketplace is so large that you definitely should be selling on Amazon at some point. In fact, I’ve had students make over 100K per month selling on Amazon alone. In addition, there’s also the danger of getting inexplicably banned or shut down in case you get too many customer complaints. Most people’s first instinct is to gravitate towards dropshipping since it’s cheap and risk free. But in this day and age, dropshipping is getting harder and harder to execute successfully. Because you are selling someone else’s products at a lower margin, you usually can’t win based on price. In terms of deciding whether to sell on Amazon versus using a separate 3PL, I heavily lean towards selling on Amazon through FBA and also using them as your 3PL. If you are worried about Amazon’s branding on the box, then pay the extra fee to have it removed. Chances are, you are going to be selling on Amazon anyway, so there’s no reason to use 2 separate fulfillment services that do the same thing. In my mind, the only reason to use a separate 3PL is if you require special handling on your products. For example, smaller mom and pop 3PLs may be willing to bundle separate products together or prepare your products in a specific way that Amazon would not. If you sell internationally, certain 3PLs may be better equipped to handle international fulfillment. And finally, certain 3PLs may also offer more attractive pricing than Amazon depending on your goods. But no matter what option you go with, your end goal should be to create your own branded business. So even if you are seeing great results on Amazon, you should always start your own website. In this day and age, you don’t ever need to carry inventory or worry about fulfillment but you still need a brand. My company uses 3PL and we increase our revenue 5 times since we don’t care about shipment, warehouse, warehouse workers etc. Our job is only to advertise products and put effort in advertisement. Company is founded 30yrs ago and we were classic retailer. But now we have several sales teems in five States. Yes it is hard for those who don’t have sufficient capital to pay for all good’s at once, but we don’t have that kind of issues. I’m glad you mentioned the 3PL. The one thing I am very hesistant about is the shipping and packaging aspects. I’m a designer and just want to design! The less administrative/backend I have to do the better, thanks Steve! 3PL is best way handle your delivery. One hour spent on creating income is always better then one hour to cutting cost by your personal packaging and sending. Hi Steve, love the content. In 6 months, I am going to be moving to South America for a year to marry the women of my dreams. I want to build an income stream that I can run full time, but do you think it would be possible to run an online store with 3PL from overseas or should I stick to Dropshipping and take the lower margins? Appreciate you! I want to start an online business, and I read that I have to have sales tax ID to buy from a wholesalers. Is that really necessary if I want to use drop shipping method? thank you. Shipwire is some of the worst you can choose. You can find more bad reviews than good about them, they are a nightmare. hello i need an extra income but i want to venture into ecommerce business,pls i will be very gratefull if u can put me through.thanks. Is there anything for this scenario – I don’t have inventory here with me.. I work with lot of vendors in USA and India. Whenever I get the order, I will notify the vendor and vendor will then ship to customer. Is there any service/ fulfillment service I can use to make this whole process seamless? Is there any 3pl company where my vendors can ship the products and then 3pl will ship it to customer. Also, if I decide to use Endicia for the shipping labels, can I forward those labels to vendors, for them to use it to ship? Hi there, noticed you’re looking for information on a 3pl. I work for a shipping/fulfillment company in Michigan. We ship worldwide and can help answer any questions you have. It’s really an excellent and beneficial data. I was actually captured with the piece of resources you have got here. Big thumbs up for making such wonderful blog page! I am an international seller. How do I get sales tax ID in the US if I need to buy from wholesale or I need to get it from my country? You reference purchasing product for your customers orders. What if you’re working with clothing, ie: team jerseys; you purchase from overseas to get a lower price per unit. In order to do that you have to purchase a bulk order ie: 100 units. How do you guess on purchasing what the customer might want, the size, the style etc… without having a basement full of inventory that is wrong? Do you know if I order, and pay for the entire order, from overseas a company that warehouses that order for me of 100 units and each time I order for a customer they keep track of lowering the inventory. and I still get the wholesale price per unit? My online business is going through a growing pain and I hope you can help me solve the problem. My online business sells customs items just like your hanhandkerchief business. My sales have been picking up and I’m having a hard time keeping track of my orders. I have a manufacturing partner so I need to send them the correct orders and specs. I’ve been searching high and low for order management software that can handle custom orders and with the ability to share that data with a third party. Thank you so much for this very helpful article! It aswered some of my biggest questions about selling merchandise that we have bought and paid for already. When tou talk abug out the smaller mom and pop 3pl companies, did you have any in mind? I am looking for examples so I know what to look for. Thamks for your input! This is a sure way to piss customers off when it takes an additional 24-48 hrs to ship an order. Btw, Advocating this type of Internet Business will only result in your demise as the Manufactures will wise up ad start selling direct to the user. Please consider countries that have no ecommerce and online selling and buying experience in your blog… I have an idea of building an online selling website and become a first company… Inbox me!